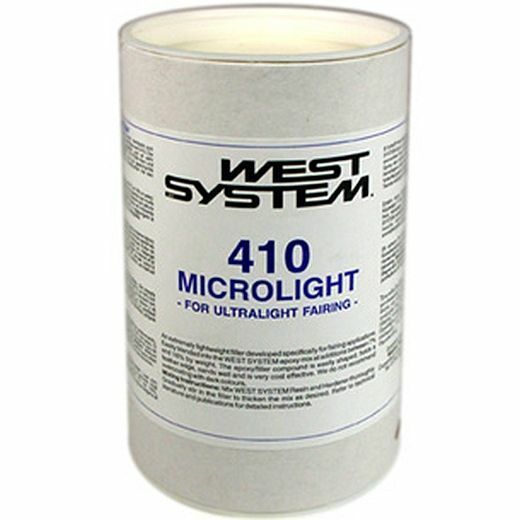 410 Microlight™ is the ideal low-density filler for creating a light, easily-worked fairing compound especially suited for fairing large areas. Microlight mixes with greater ease than 407 Low-Density filler or microballoons and is approximately 30% easier to sand. It feathers to a fine edge and is also more economical for large fairing jobs. Not recommended under dark paint or other surfaces subject to high temperatures. Cures to a tan color.